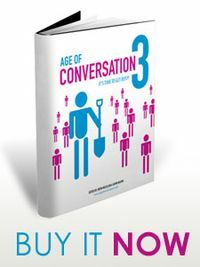 The third book in the Age of Conversation series is now available for purchase! Subtitled "It's Time To Get Busy," Age of Conversation 3 captures the shift from 'outlier... to strategic pillar' for social media in the marketing mix. At the Coalface; Identities, Friends and Trusted Strangers; Conversational Branding; Measurement; Corporate Conversations; In the Boardroom; Innovation and Execution; Influence; Getting to Work; and Pitching Social Media. Proceeds from the sale of the book Age of Conversation 3 will benefit the Make-A-Wish Foundation. Read the press release: Age of Conversation 3 Highlights Social Media Best Practices. Click on these Amazon links to buy Age of Conversation 3: in hardcover, paperback edition, or for the Kindle. I'm curious. 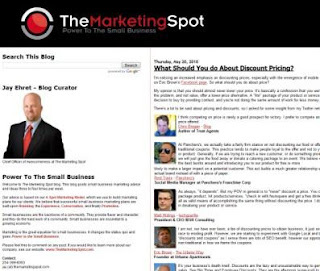 What are you doing about discount pricing? And how does it fit into your retail experience? Are you needing to do more discounting than you used to? If so, how do you integrate it into your overall retail experience? How do you maintain profitability and not devalue what you offer to existing customers? Or, have you come up with alternative solutions to discounting your prices? I'd love to know your perspectives on pricing and the pressures you're under to discount. 1. Make your store stand out from the rest. 2. Appeal to the customer's "inner child" [we all have one]. 3. Create a romance that surrounds your products and enhances their desirability. 4. Make a joyous shopping experience. 1. Treat customers with respect. 3. Every retailer -upscale, discounter, etc. - must do everything possible to please consumers' senses. Although I couldn't locate the exact interview, I did find this related article Shoptimism: Why We Buy Things. Don't take your customers for granted. Have ridiculously high standards for your staff. Cater your assortment to fit your audience. Now, imagine that your Mom takes you shopping to buy you anything [within reason :-)], would you stay in your store and buy something or would you leave empty-handed? How does your retail experience stack up? Imagine listening so carefully to your customers that their questions inspire you to write a book. That's what Karin Hermans from Wood You Like Ltd in the UK did. Wooden Floor Installation Manual represents 160 pages of responses to customer questions making it a relevant reference for "everything you need to know about DIY wooden floors". The funny thing is - I realised this only afterwards - the book is a perfect example of the thread of my contribution for AoC: building a business one question at the time ;-) The whole book is in fact based on questions we received from our website visitors/prospects etc. How we are using it? As we used the E-guide last year (65 pages only): giving those who are serious about DIY installation of their own wood floor our experience in the hope they will be confident they can install it like a pro too (or at least know what they are doing, from selecting the floor to tackling most common "installation obstacles". (And of course to tell them about the products we recommend - and sell). 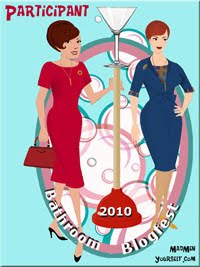 Most of the books already sold are to known contacts; it is now also for sale on amazon.co.uk and amazon.com. Those "unknown" buyers can request access to our "online extras" - and we can follow-up on them for maintenance products, which we do with all our clients. I admire that Karin has created a benefit for readers through what might otherwise be perceived as a shortcoming: the book contains no visuals. Instead, Wood You Like invites those who purchase the book to view online evergreen photos, pictures and drawings. What a terrific way to integrate the offline and digital experiences for a richer and more informative solution! Congratulations, Karin and Wood You Like! I wish you great success with Wooden Floor Installation Manual! As I write this, I'm headed on Bolt Bus to Boston for the 2010 MarketingProfs B2B Forum taking place May 3 through 5. If you plan to be there, do let me know. I'd love to connect! Simple tweet me at @cbwhittemore. 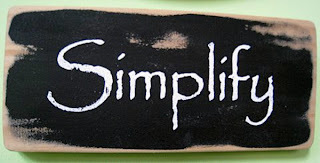 Here is the latest from Simple Marketing Now for April 2010 categorized into Social Media Marketing Resources, Simple Fun and Simple Marketing News. Last week, I attended Coverings 2010 in Orlando, FL - my first time experiencing the show. I loved the installation showcase featuring five bathrooms built over the course of the show, each representing a different design inspiration which the designers described during a panel discussion. I also got to take part in a Tweetup [a meetup organized over Twitter] with Veronika Miller, Paul Anater, Arpi Nalbandian, Bill Buyok, Zoe Voigt and Marilyn Russell. At Coverings, I regrouped with my partners in presentation - Paul Friederichsen and Scott Perron - for a reprise of our three-hour workshop [see Press Release: Whittemore Addresses Social Media Media Marketing at Coverings 2010]. In other news, I'm really pleased that Simple Marketing Blog is now a Junta42 Top 42 Blog! I'm keeping track of, on the Floor Covering Institute Blog, Posts Published and I created Interview Archives - 2009 from the Simple Marketing Now website. My latest addition to the 'How Do I?' series - How Do I Deal With Negative Comments? - deals with a topic that comes up in every introductory social media conversation I've participated in. It's also the subject of a session that I will be leading on May 25th, 2010 at the next Social Media Club North Jersey meeting titled "I love you. I hate you. Customer feedback in a social world. Check out my latest MarketingProfs Daily Fix article: 10 Tips For Being Found & Connecting With Customers. Yes, simple fun starting with Simple Pleasures: 3/12 through 4/8/10, Simple Earth Day 2010 Reminders and C.B. Whittemore in New Yorker's Talk of The Town, all because of casino carpet!